With over 300,000 listings in more than 33,000 cities in 192 countries, Airbnb allows guests to rent accommodations directly from their owners. From entire estates, like a 33-acre California property with a pool and vineyard, to a shared bedroom in Manhattan's East Village, the majority of these listings are located on the coasts of the United States and in Western Europe, with a concentration in New York City, San Francisco, and Paris. Search either by price, property type, amenities, or other parameters, and when you find something you like, confirm your reservation either by credit card or PayPal, with a booking fee of 8 to 12 percent, depending on the cost of the entire booking. To protect guests from fraudulent or misrepresented listings, Airbnb holds the payment for 24 hours before releasing it to the host. Editor's Note: Airbnb is currently undergoing a legal battle against court rulings stating that it is illegal in cities like New York. For the utterly penniless (or more adventurous), there is CouchSurfing. With over six million members in more than 100,000 cities, CouchSurfing offers everything from free accommodations (typically on someone's couch), to meals, and activity partners. Both "surfers" and hosts are required to create a profile page, and trusted hosts can receive a verified status confirming that their names and locations have been authenticated. Other members can also vouch for one another, certifying them as trustworthy. As accommodations are based on how willing your hosts are, guests have to put in a request for a couch or a meet-up and hope for the best. No airbeds or pullout couches here. Instead, HomeAway focuses on traditional vacation homes that are rented out by their owners. With over 495,000 listings worldwide, about 183,500 properties are found in European countries like Spain and France, and about a third in the United States. Narrow your search by price, ratings, amenities, and other filters, and book by contacting the owner directly. Depending on the owner, a deposit of 10 to 50 percent may be needed to confirm the booking, with some requiring full payment eight weeks before check in. For an additional $49 (or more, depending on your rental cost), HomeAway guarantees guests up to $10,000 against homes that are double booked, misrepresented, or have been foreclosed. Unlike the global focus of HomeAway (which is owned by the same company), VRBO's 265,000 rentals are mostly in the U.S. Guests can browse by location types, amenities, and other filters. As with HomeAway, properties are either run by their owners or property managers, and guests can book by contacting the host directly. Since April 2012, HomeAway also began migrating VRBO's listings onto its main website, making properties searchable on both platforms. And, if you apply for their Carefree Rental Guarantee (which costs $49+ on average), your payment is protected up to $10,000 against misrepresented, double booked, or foreclosed homes. 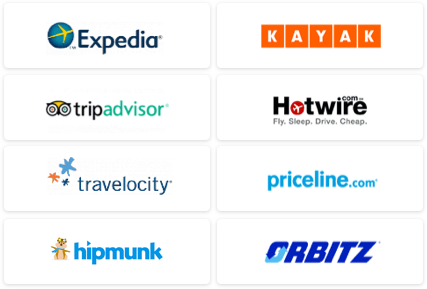 FlipKey is TripAdvisor's attempt at breaking into the vacation rental market; it already has a leg-up over other vacation rental sites, because unlike many of its competitors, the site doesn't charge a booking fee. With over 200,000 rentals in 7,000 cities worldwide, most listings are found in the United States, Europe, Mexico, and Brazil, with New York, Florida, London, and Rome being the most popular. Search either by price, available deals, property type, or other parameters, and their "My Pick" feature allows guests to make multiple selections and compare them later. The user reviews that drive TripAdvisor's success also make an appearance here. 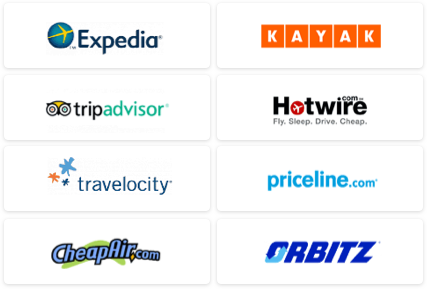 FlipKey bills itself as "the largest collection of verified and trusted guest reviews in the industry," and reviewers are allowed to submit their own pictures. When you find something you like, contact the host for the rental agreement, which spells out all prices and policies, before paying either by credit card, PayPal, or other arrangements. Founded on the theory that "everyone in the world needs a minimum of nine flats to choose from to be happy," 9Flats offers 93,065 rentals worldwide, on six continents. With affordable price points, you can choose to rent a room, apartment, or house, and booking is easy. You can either send a booking request to the host and receive a reply within 24 hours, or opt for instant booking to secure your stay immediately. The two biggest perks? Though your payment is taken on confirmation, it is only transferred to the host 24 hours after check-in, once you're happily settled, and insurance covering up to around $662,300 in damage is free. Offering upscale apartments and homes for rental, OneFineStay introduces the "un-hotel." You get hotel amenities like travel-sized toiletries and fresh towels, while staying in someone's decadent home. You can even get maid service if you want. With 977 luxury homes in London and 209 in New York, the experts at OneFineStay have searched high and low to find the most uniquely beautiful and comfortable homes. Payment is through the site, with a debit or credit card, and you must pay in full upon making your reservation. You can still live like a local, even if you're on a budget. Roomorama has around 40,000 quality listings in 3,700 destinations, mostly in Europe and Asia. Once you find your dream home, you can send a request to the host and wait for them to accept. After making your reservation, Roomorama keeps your money secure until you present your payment code at check-in. Plus, Roomorama guests are able to join the perks and promotions program, which offers hundreds of discounts (often 20 percent) on local services like guided-tours, restaurants, and transportation. As the largest independent vacation rental site in North America, VacationHomeRentals.com has more than 13,200 properties in all 50 states and in 89 countries, with Florida, Massachusetts and Pennsylvania as the most popular destinations. Offering family-to-family rentals, the site allows travelers to rent homes directly from their owners. Payments are made directly to the owner, and often are required in the form of personal check, however credit card and PayPal are sometimes options.